This ground-floor Victorian flat was purchased in quite a state of disrepair. The property was dated, with the layout making the home feel cramped and dark. However, it also came with a very sizeable garden, something the owner was keen to put to good use. At Resi, we knew exactly how to open up the original flat, and create something truly special using that extra green space. 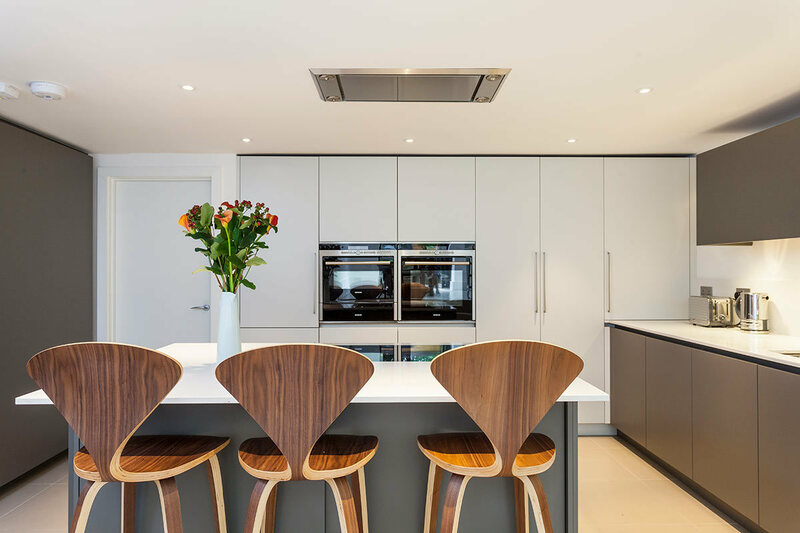 For the flat, the client was keen to keep a separate kitchen and diner, but still enjoy a modern and open feel. Therefore we had the kitchen sit towards the front of the house, and moved the living space to the back. This allowed us to create an open-plan living room and dinner, complete with large views of the garden. 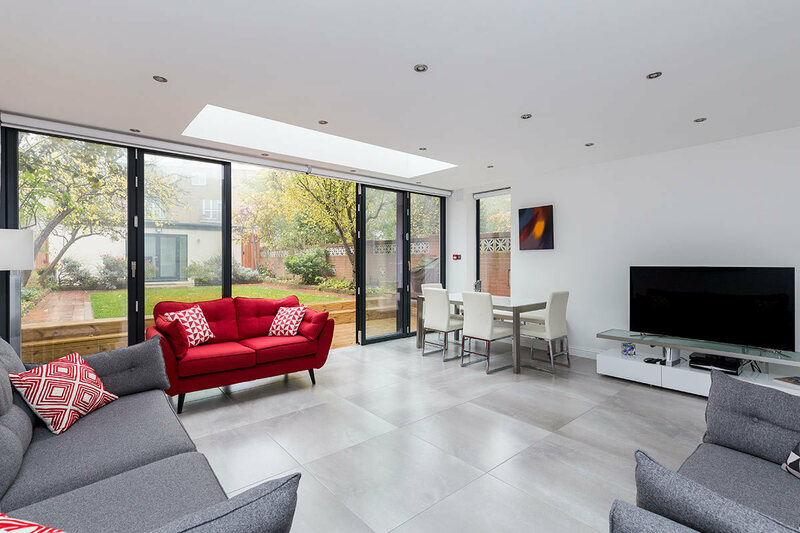 We installed bi-fold doors, and had the glazing run the entire length of the wall. 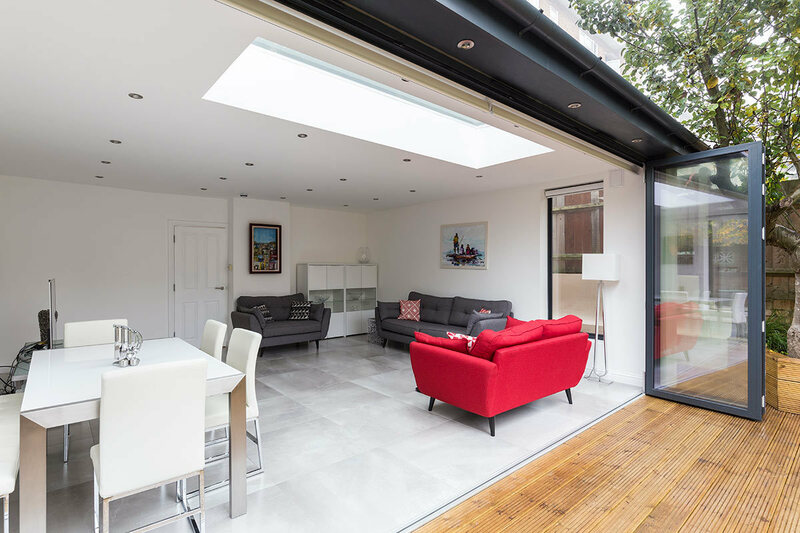 As this space benefited from a flat-roof, we also brought in a large skylight, for reams of extra natural light. 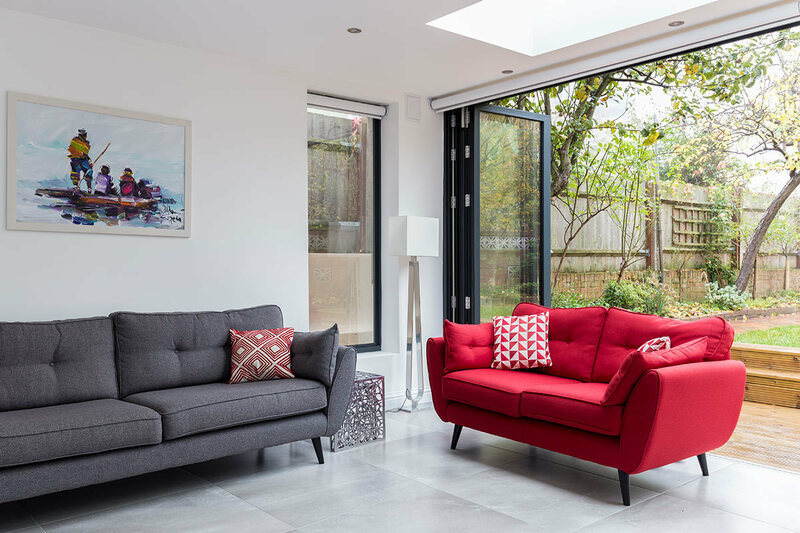 The result is a space that feels bright and airy, with easy access to the garden. In the summer months, the doors can be opened for that ultimate blending of inside and out. Happy with the inside of the flat, we turned our attention the enormous garden. Having so much space, the client was keen for us to design a granny annex. Granny annexes are great for not only providing privacy for either family members, or au pairs, but also for dramatically increasing your home’s value. 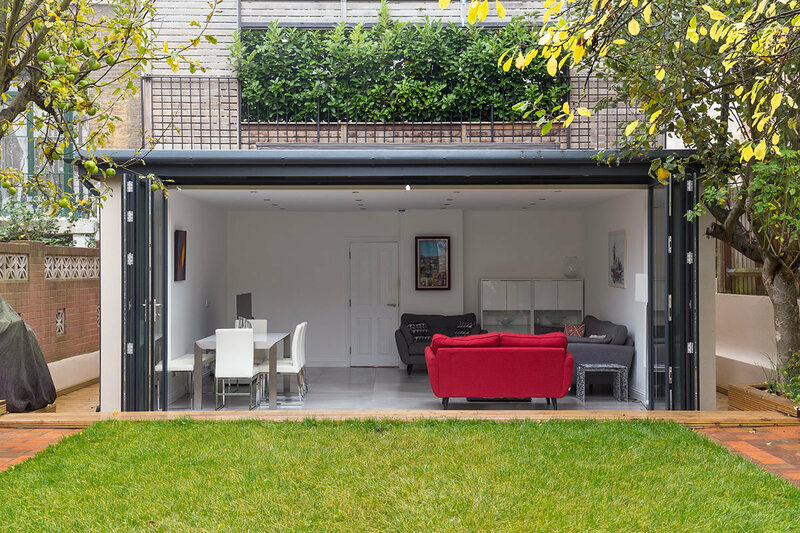 As this property was based in London, where space is at a premium, the addition of an annex would probably see over £100,000+ in added home value. But, of course, as with all annexes, there was the issue of planning permission. 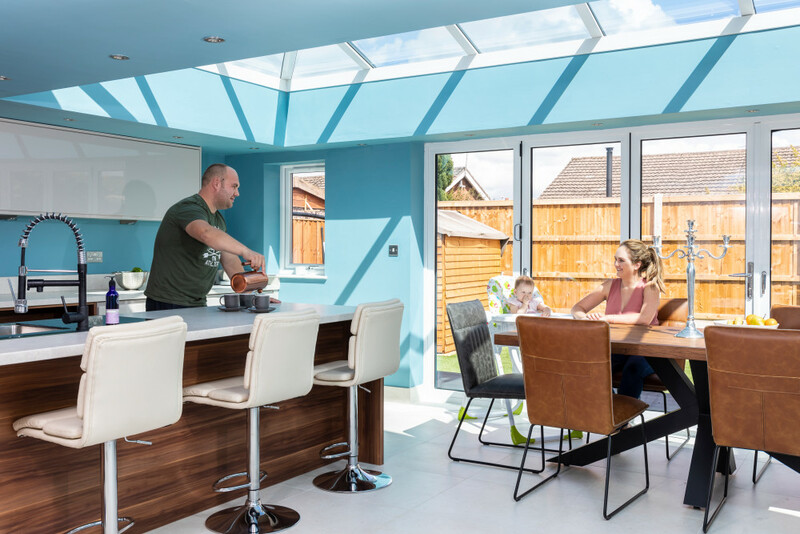 All new living constructions require planning permission, and as we were working on a flat, that meant out skylights and new bi-fold doors did too. Flats don’t enjoy permitted development rights, as houses do, so its important when converting them to have a planning expert at your side. As the client selected our Planning Package, we acted as their agents throughout the whole process and secured permission on their behalf. With planning permission secured, we set about designing a space that would still feel large and open, while also containing everything one might need for some independent living. We placed the bedroom next to the garden, to allow the occupant to wake up to lush green views. 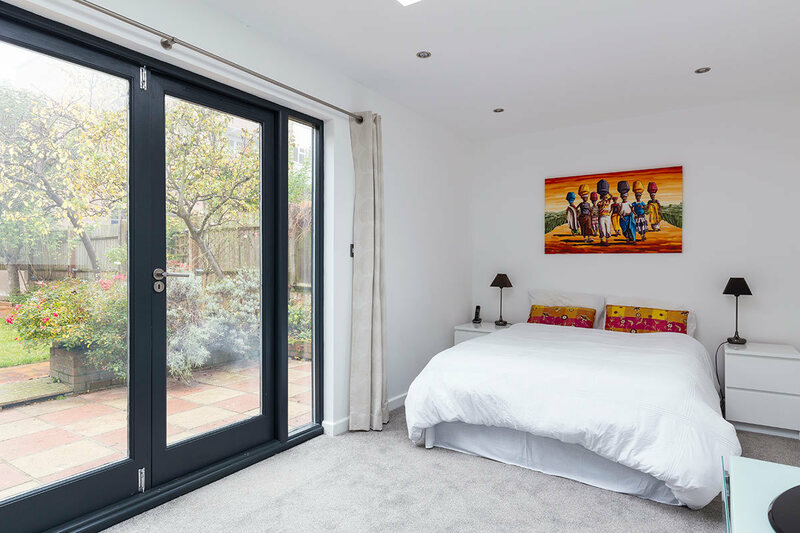 The glazed double doors, allow for maximum ventilation during hotter days. Like the main building, we created a flat roof to allow for skylights, to help more light penetrate the space. Inside the annex, we installed an ensuite and small kitchen area. An ideal getaway for when extra space is needed.